Englishmen in recent times have developed a love affair for willow-wielders. After the debacle of the 2015 World Cup, England radically changed their approach and infused aggression in their batting. 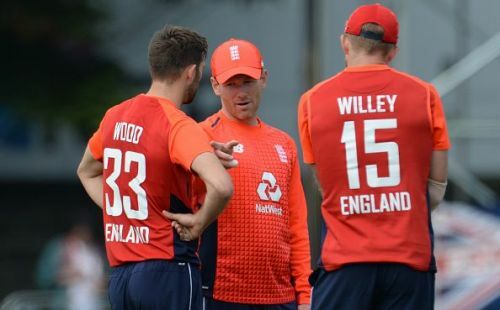 England's World Cup squad for 2019 is pretty well-known, and the focus has been naturally on the batsmen. Morgan, Root and Buttler have managed to capture the imagination of the English public. There has been a lot of talk around Ben Stokes and Sam Curran, but it is based on the merits they bring in as all-rounders. There has hardly been any mention of Mark Wood or David Willey. Yet the paradox is, almost every major cricketing nation and most surprisingly even India, are concentrating on their bowling recruits. Australia has a good pace battery led by Mitchell Starc, Josh Hazelwood and Pat Cummins. India for a change has developed depth in its bowling with Bhuvneshwar Kumar, Jasprit Bumrah and the wrist spin-twins Kuldeep Yadav and Yuzvendra Chahal. Pakistan always throws up surprises with their seamers. Mohammad Amir and Hasan Ali serve as their chief attacking options. South Africa has an explosive pace bowling arsenal with Kagiso Rabada, Lungi Ngidi, Dale Steyn and Chris Morris. New Zealand possesses the deadly new ball combination of Trent Boult and Tim Southee. England have got addicted to raking up big scores (481, 444...) and they seem to have forgotten that it is the bowlers who win you matches. During the recently held 2017 Champions trophy in England, there was an important lesson to be learnt. Two batting powerhouses, England and India were demolished by a resurgent Pakistani attack in the semis and the finals. England made 300-plus scores for fun during the league phases. They faltered once in the semis and ended up with 211. Pakistan's shaky old-fashioned batting lineup got home with 8 wickets and 13 overs to spare. Ben Stokes's brain-fade in the last over of the 2016 World T20 against a spirited Windies, cost England their second T20 title. As the old adage goes, batsmen win you matches and bowlers win you championships. West Indies of the old and Australia’s recent success in World Cups was due to their intimidating pace attacks. After all, Glenn McGrath and Mitchell Starc won Man-of-the-Series awards in 2007 and 2015 World Cups respectively. England's batting lineup for 2019 looks strong on paper, but we all remember what Kuldeep Yadav did to their famed batting line-up in the recently concluded ODI series. A few may argue that England still won the ODI series. The underlying point is, this one-off batting collapse can happen on the day of a semi-final or a final. Winning a World Cup is about handling pressure and there is a good amount of sample space to show that England's bowling crumbles under pressure against quality battling. Remember the centuries scored Virat Kohli (122) and Kedar Jadhav (120) when England reduced India to 64 for 4 and yet India chased down 356 in Pune with 11 balls to spare. If we look at England's bowling further, the pace attack comprising of Mark Wood, David Willey, Chris Woakes, Liam Plunkett and Ben Stokes will struggle to restrict a top-notch side below 300. Woakes and Wood have been hamstrung by injuries. Adil Rashid and Moeen Ali are the main spinners for Englishmen. Their main job is to contain runs and even though Rashid may prise-out a few wickets, he will fail to run-through a good batting line-up. England can't go back to Anderson, Broad and Finn as they are far from being effective in this format. Does England have match-winning bowlers? The answer is NO !! Who are England's wicket-taking bowlers? Is it Woakes, Stokes, Rashid or Wood? It's difficult to answer as they have never troubled good batting sides with their skills. If we remember the first ODI in Nottingham against India, Rohit and Virat comfortably chased down England's 270 without breaking a sweat and the same set of bowlers had no answer. England's recent Test series victory against India came on the back of James Anderson's superlative performances with the ball with good support from Stokes, Broad and Ali. So, what is England's Achilles's heel in the 2019 World Cup? This might prove detrimental to their chances as it happened in Champions Trophy 2017.